I have this belief about the Universe, where when you’re having a bad week the universe finds a way to pick you back up. The Universe knew I needed a win this week and oh boy did the universe open my eyes to my future. So I will write here, who ever is in control of the Universe, who ever is watching after me, thank you. Last night I went to an Open Mic night on Campus and it was wonderful. My best friends all came out to see me, some who I always torture with by sending them files on top of files of my work and some who have never heard my work until last night. I knew they would love it and support me but the audience, woah. Such wonderful feed back, such wonderful comments, such wonderful energy. Not only that but a local Poet approached me right after to get my number and has been pouring out invites for me to attend spoken word performances and wants me to work on a project over the summer. Then this afternoon I got a call from my professor informing me I won The Academy of American Poets contest that my university puts on. I know to some these things may be consider small achievements and for me I look at both of these as my stepping stone into a career I wasn’t even thinking about a year ago. I wasn’t even writing like how I am now a year ago. So today I’m sitting here crying, not because I won something but because I remember the nights I sat alone in my bedroom at the age of six praying to God to make me smart, to take away my learning disability. Now here I am, an English creative writing major sitting down writing in a language I could barley spell or read in first grade. So I will sit here and cry about how happy that the years of bedroom tears are finally being wiped away. I would trade a hundred times falling in love with a man for the feelings I have when reading and writing my poetry. These are the moments I’m reminded I don’t need love from a man, I feel love in my writing and in the books I read. Gosh, I’m just so blissful about all thats happening for me, I can feel it. This is only the beginning and I cannot wait for the rest of my life. I feel the momentum building inside of and nothing is going to stop me. This is how I want to feel for the rest of my life. Blissfully happy, crying over my hard work and falling in love with the Universe. 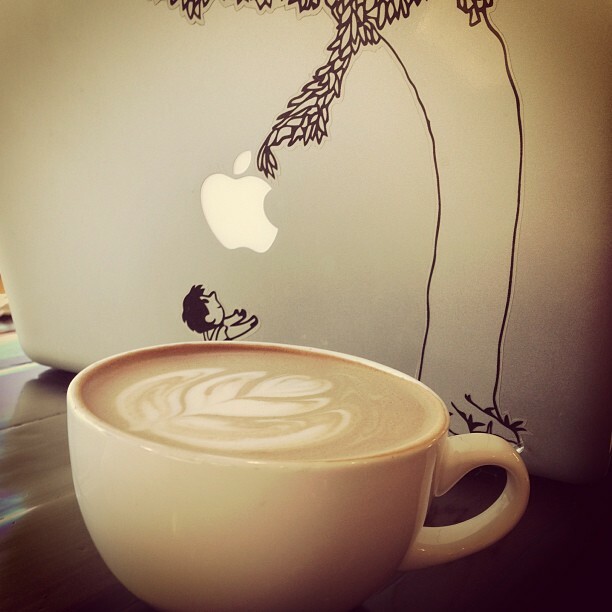 Photo: My laptop and drinking coffee at my favorite little coffee shop.